Am I a nerd? You bet I am. I've stayed up late for book and movie premiers. I've dressed up like my favorite characters for Halloween and movie premiers. I've even argued about the properties of a horcrux, the meaning behind the Harry Potter spells, and the timing in which they were used. Then, even better, she let me read it. Nope, that doesn't even come close. The nerdiest thing about me are my socks. You heard me. I wouldn't be a nerd without the right socks. And that's how I get my nerd on. What about you? Buy HOW TO DATE A NERD today! You're a silly nerd - the best kind! What a tribute to Cassie Mae's book. Your post held my attention all the way. You're one of the BEST nerds I know, Jennie! This post is hilarious, and I love it! I really want those socks LOL! Great post, Jennie! Congrats you're an official nerd J. This is the cutest. I love the "arguing about the properties of a horcrux" bit. I love being able to talk to other people in depth about fictional things and have them NOT roll their eyes and act like it doesn't matter because it's fictional. And . . . SOCKS! I love the NERD socks! I wear two different colored socks. One is always patterned or decorated, and one is always plain. I have one drawer for the plain socks and one drawer for the patterned socks. It's pretty ridiculous. Fabulous socks! I've been wracking my brains to find something nerdy about myself because I REALLY want to be a nerd too, but I've come to the conclusion I am too detached and easy-come, easy-go to be a nerd about anything. Not a good quality to have really! Enjoying the nerdiness today! Here's a nerdy highfive, sister! Nerds are the best people, period! Congrats to Cassie! I can't wait to read the book! ADORE the Picard pic! I wear funky socks too... awesome post! 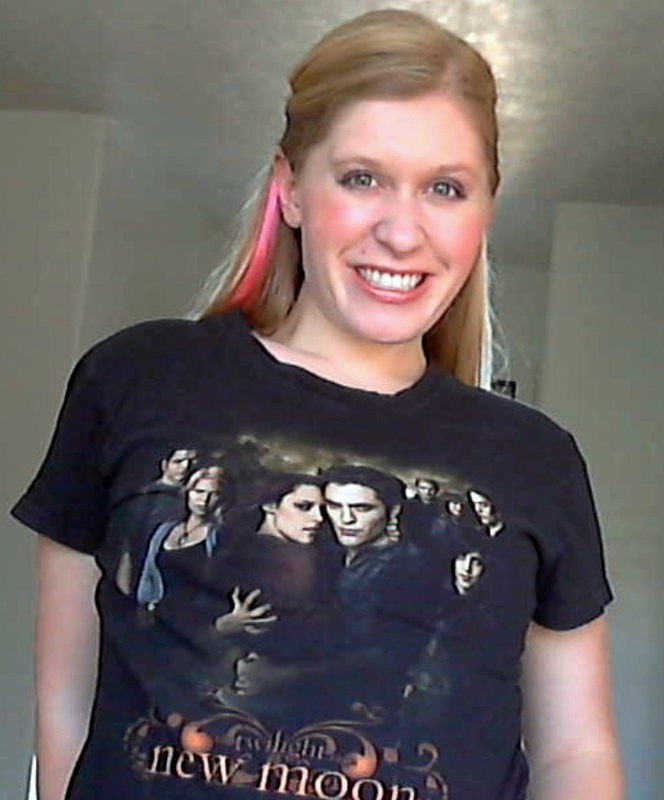 I have a Twilight tshirt too! Around here somewhere anyway... ;) Congrats to Cassie on her book! Can't wait to read Cassie's book! What a delightful post, Jennie! Good to see you...I'm not on this hop, just came to visit. I like your nerd pride, lady! I guess most of my life accounts to nerdery. Certainly wearing a Hawaiian shirt to the midnight premiere of The Matrix 2. I love Cassie's books. Her characters are relatable and funny. I need books sometimes that make me laugh. Harry Potter seems to be a common thread this week. I will be rereading the entire series start to finish during October. Very cool socks. 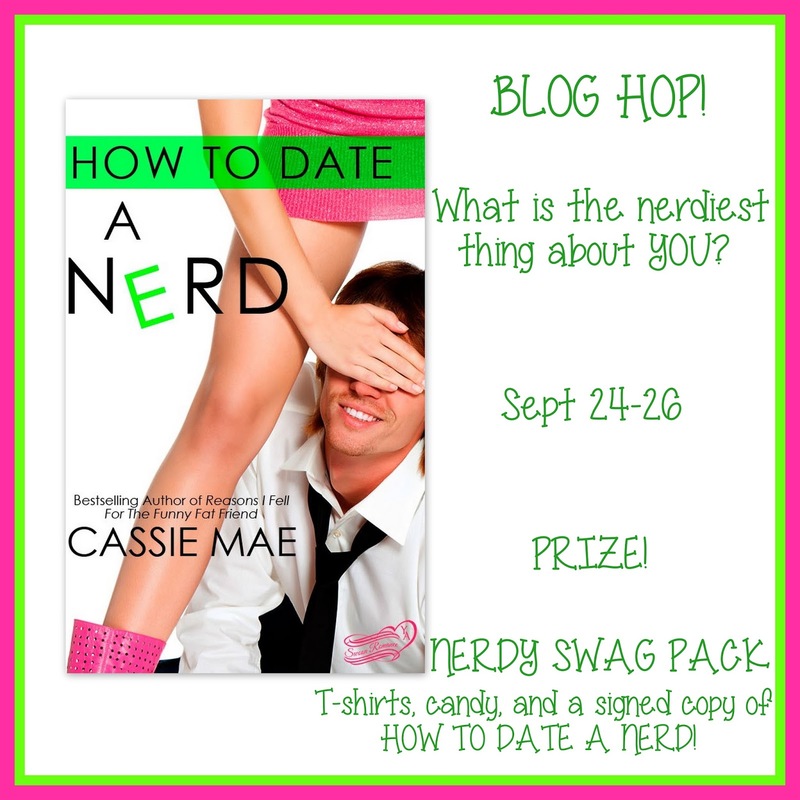 You've got your nerd on! 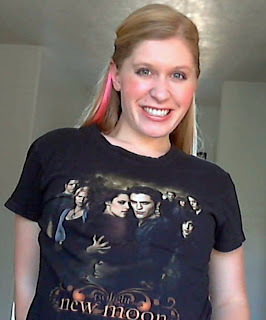 I've got a t-shirt that says, "I Never Got My Letter To Hogwarts So I'm Moving To Forks To Live With The Cullens." Great pics:) Everyone in my life that's close to me is a nerd...who would want it any other way? My son has a 3DS, I download the original Legend of Zelda on it. The only problem is he keeps playing on my save spot because I've gotten farther than him. I think I'm more of a geek than a nerd (I even have the t-shirt!). 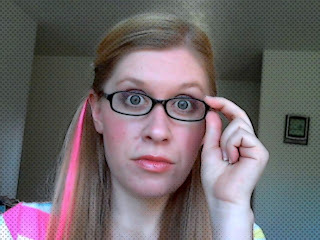 Occasionally I consider myself to be a dork.